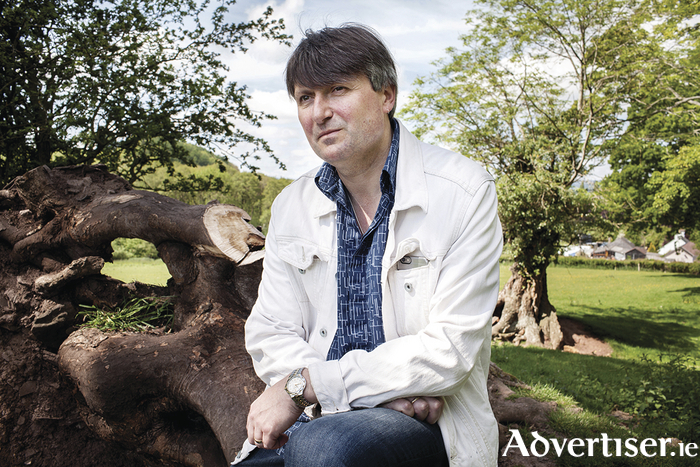 AMONG THE hot tickets at this year’s Cúirt International Festival of Literature, one of the hottest is Simon Armitage. Since making his debut with Zoom, in 1989, the prolific and versatile Yorkshireman has produced brilliant, award-winning works in poetry, prose, television, theatre and opera. Armitage is currently holder of the prestigious professorship of poetry at Oxford University and has just published his first new poetry collection in 11 years, The Unaccompanied. The title has been seen as a metaphor for Brexit Britain, a reading Armitage accepts. Climate change is addressed in poems like ‘The Present’ where Armitage tries to take an icicle home from the Yorkshire moor: "I'd wanted to offer my daughter/a taste of the glacier, a sense of the world/being pinned in place by a diamond-like cold/at each pole. But opening up my hand/there's nothing to pass on, nothing to hold." In ‘Harmonium’, Armitage describes his dad helping him remove the eponymous instrument from a church: "And we carry it flat, laid on its back/And he, being him, can’t help but say/that the next box I’ll shoulder through this nave/will bear the freight of his own dead weight./And I, being me, then mouth in reply/some shallow or sorry phrase or word/too starved of breath to make itself heard." I comment that the closing lines remind me of Tony Harrison’s poems describing his difficulty in communicating with his father. “There’s a similar situation being described,” Armitage admits. “In Harrison’s case however one of his perspectives on writing is that his education, and the way he can articulate things have separated him from his father, and they’ve lost the ability to communicate across that gap. In the sharply humorous ‘An Inquiry Into The Nature and Causes of the Wealth of Nations’ the poem’s narrator states: "I should resist this degrading donkey work in favour of my own writing/wherein contentment surely lies." Given his own literary versatility, how does Armitage balance the demands of the different forms in which he writes? “I don’t think you ever get that balance right,” he declares. “You always feel as if you’re over-balanced in one direction and trying to correct yourself. You need to be on your own and concentrating to write the work, but after being on your own for too long you become solipsistic and stop engaging with the world that you want to write about. So you take on other work because it is usually collaborative and gets you out of the house and you meet people, but then that in some way stops you writing the poems. There’s always a tug of war going on there. In recent years Armitage has done outstanding work with ancient classics, ranging from his version of Arthurian tale Gawain and the Green Knight to his stage version of Homer’s Odyssey. He describes his forays into translation/adaptation; “With Homer I can’t read the original Greek so I’m always relying on a translation. I’ve pretty much read all of them; the last one I read and enjoyed was Robert Fagles'. I haven’t translated Homer, I have only ever dramatised him, and that’s been a case of pushing all those books away and relying on the stories rather than the actual language. There isn’t much conversation as such in Homer or what we think of as dramatic dialogue, so I’m only imagining the dialogue.